Our Newsblogging campaign for the Law Offices of Daniel R. Rosen, a personal injury law firm in Colorado, was featured as a case study in Customer Service: New Rules for a Social Media World by Peter Shankman. Shankman is well-known in the fields of public relations and social media as the founder of Help A Reporter Out (HARO), a free daily service that matches tens of thousands of journalists with potential sources. Among other ventures and accomplishments, Shankman also sits on NASA’s Civilian Advisory Committee. How about a personal injury law firm? You know, one of those law firms that always advertise on TV? ‘Law firms?’ you ask. But they can’t use social media! But you’d be wrong. I see personal injury attorneys like the Neal Fhima Law Firm advertising on TV — or hear them on the radio, for that matter — all the time. Advertising like this is based on impressions: how many people see (or hear) your commercial when it airs. Blogging and social media campaigns, on the other hand, are based on connections: how many people find value from the content you’re sharing, when you’re sharing it with them. Much of the value here comes from timeliness: people finding your content when they’re looking for it. That’s the essence of Newsblogging. Creating content that is relevant, timely, and important to the people you’re trying to reach, so they connect with your company, product, or cause in a meaningful way. The Law Offices of Daniel R. Rosen has leveraged this extremely well by creating an online news resource focusing on Colorado accident news, weather alerts, driving safety tips, and more. For more details regarding SixEstate’s ongoing campaign for the firm, you can check out this blog post. You can also check out the firm’s Colorado Accident Law Blog directly at http://www.danielrrosen.com/blog. 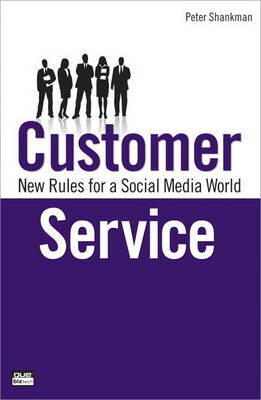 Customer Service: New Rules for a Social Media World is available at Amazon.com.